I am SURE that almost all of you guys who actually buy and consumer protein powder have come across SOMEONE who thinks that protein powders are ‘unnatural’ or ‘made out of chemicals’ or that they’re some kind of manufactured powdered wackness that doesn’t make sense to consume. A bunch of my family, friends, and fair amount of acquaintances actually never buy protein powders. They’re extremely skeptical of them. They regard protein powders as a strange powdered concoctions designed for bodybuilders to quickly put on muscle mass. Oh and my grandma! My grandma always regards my protein powders with immense suspicion! At some point she asked me if they were steroids. A lot of baby formula contains whey protein powder! Pretty much all baby formula does, except of course the dairy-free varieties for lactose intolerant babes. Most baby formulas contain whey isolate and/or concentrate, the same stuff that is commonly sold as a supplement to you and I. Baby formula contains the same stuff that we purchase in a tub, only theirs goes through extra tests and quality control measures. It is micro analyzed and, when necessary, micro-filtered further in order to create a purified end-product that does not impact the susceptible immune system of babies. Why is whey protein powder used in baby formula? It’s used because of its unique nutritional benefits and abilities to deliver all the essential amino acids required for optimal growth and development of the baby unable to drink breastmilk. The whey protein in baby formula is the same stuff we grown-ups consume at the end of the day though: it’s whey protein powder, a byproduct of the manufacture of cheese. A product derived from MILK: a nutrient-dense FOOD that most everyone considers to be suitable for human consumption. Whey protein is regularly found in nutritive drinks aimed at an ageing population to deal with sarcopenia, blood glucose control, and weight management. And a bunch of the FOOD that we regularly buy contains whey protein too! Breads, pizza bases, yogurts, packaged foods, cookies, confectionary, hot chocolate, sauces, salad dressings, processed-meats, a bunch of flavored drinks… you name it: whey is an integral ingredients for foods designed to be consumed by people of ALL ages. However, for some reason when sold in a tubs to adults, whey protein powder is regarded with immense skepticism by the general population. A lot of women, especially, think of protein powder as some kind of magical man-muscle-building potion (that’s why there are so many women-only powders designed to be ‘soft’ and assuage women’s ‘fears’ of muscle by using words like ‘toning’ and ‘weight loss’ and ‘dieting.’ Deceptive stuff, in my opinion, stuff like THIS). But don’t bunch ALL plain protein powders as being the same as the randomness-filled tubs of powder, you know? Pea and rice protein powder, like whey, is added to a LOT of foods. Foods consumed by people of all ages: from kids to older folk alike. 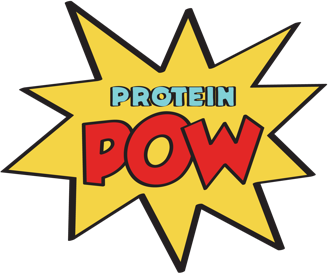 Veggie protein powders are regularly (and increasingly) added to cereals, breads, pizza bases (again) and vegan products, as a thickener and nutritive ingredient! Check out Vegenese as an example. Pea protein powder has a LOT of applications. That’s why I cook with it so much! It’s a wonderful ingredient to incorporate in one’s diet. Check out all my sweet and savory pea protein recipes for ideas/inspiration. Most protein powders really ARE just food. And they can be included in everyone’s diet as a low-calorie nutrition-dense ingredient. As long as you read your ingredients’ labels and buy protein powders without a whole ton of pointless junk, you really are just buying food. Protein powder shouldn’t be feared or approached with mistrust, you know? It’s perfectly safe when consumed as part of a balanced and healthy diet. But… Is Protein Powder Necessary? In addition to being convenient, versatile, and packed full of goodness, I think we should also think about sustainability as an important reason why we ought to demystify protein powders for the general population and promote their mainstream consumption. I’ll discuss this in greater depth in a future post because it kind of goes outside the scope of this one. But for now I’d like to say that protein powders can be a fantastic option for people that want to diversify their intake of protein away from solely poultry, fish, and livestock sources. We’re running out of farmable land and we’re running out of (potable) water, all the while greenhouse gas emissions are at an all time-high. So turning to alternative sources of protein is important. This is actually a huge (though often unwittingly unvoiced!) reason why I love buying, cooking with, and consuming protein powders like whey and other veggie sources: because they’re a byproduct of the creation of something else. They’re something that, if we don’t eat, will get discarded. Whey, for example, is a byproduct of cheese production, just like hemp protein is a byproduct of the extraction of oil from hemp seeds. Pea and rice protein are less of a byproduct of the creation of something else but their manufacture is not as problematic as the (industrial) farming of animals for protein. Protein powders can be an excellent source of protein for vegetarians, vegans, and pretty much everyone! So why not approach protein powder as the food that they come from, the food that they ARE? Doing so can benefit us all. Share if you agree with this article – and comment below if you’d like to add to the conversation. I always love hearing from you guys!!!! !